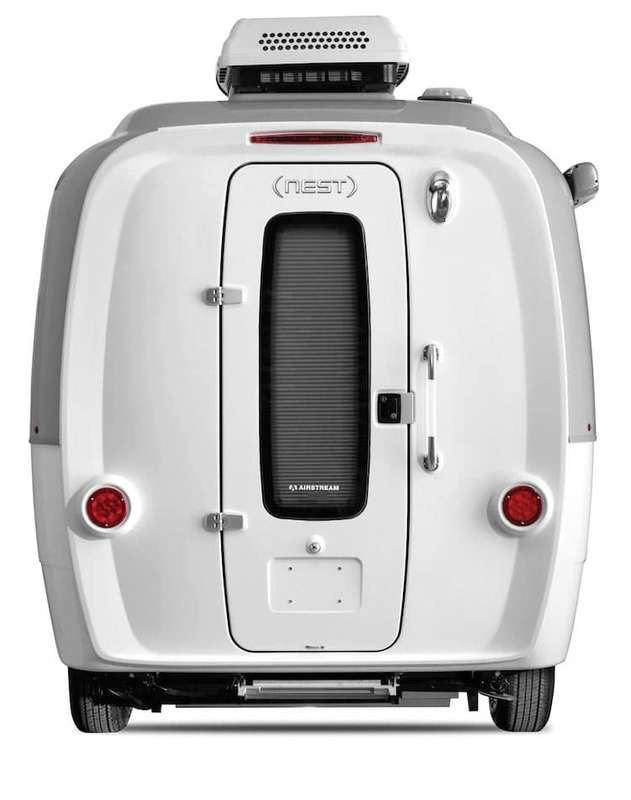 Compact, lightweight, and easy to tow, Nest was designed for the spontaneous traveler. 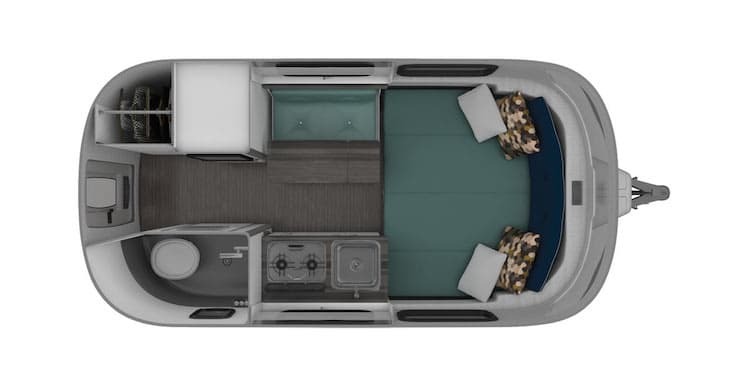 The “perfect sidekick for a last-minute weekend getaway,” its sleek, customizable design comes in two colorways and floor plan options. 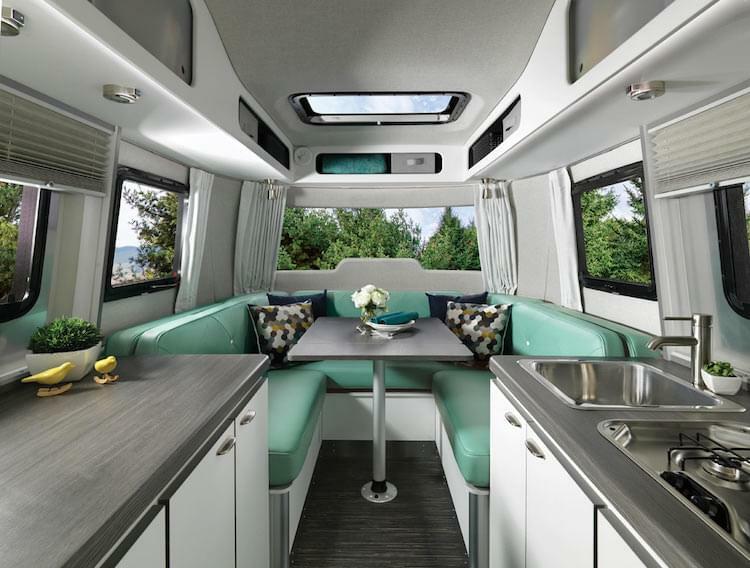 Designed by Bryan Thompson, the modern, fiberglass shell exterior features six windows, a skylight, and a wide front windshield for panoramic views. 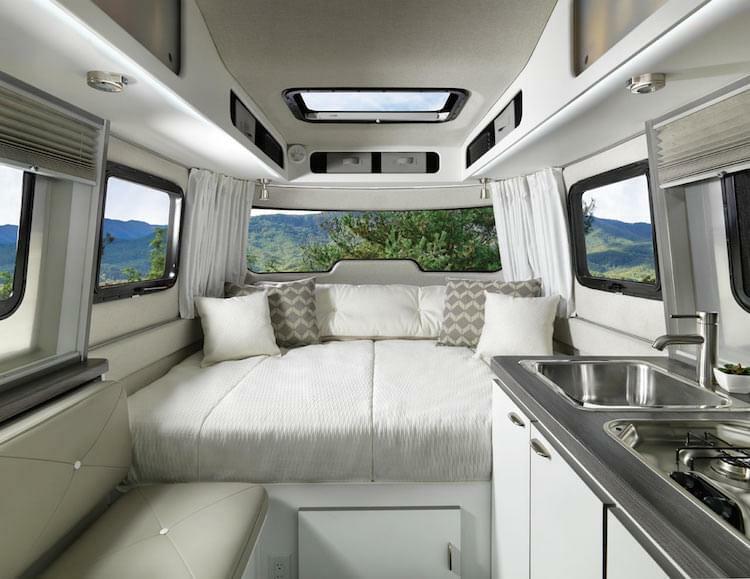 There’s even an extendable patio awning to allow users to create an outdoor living space. 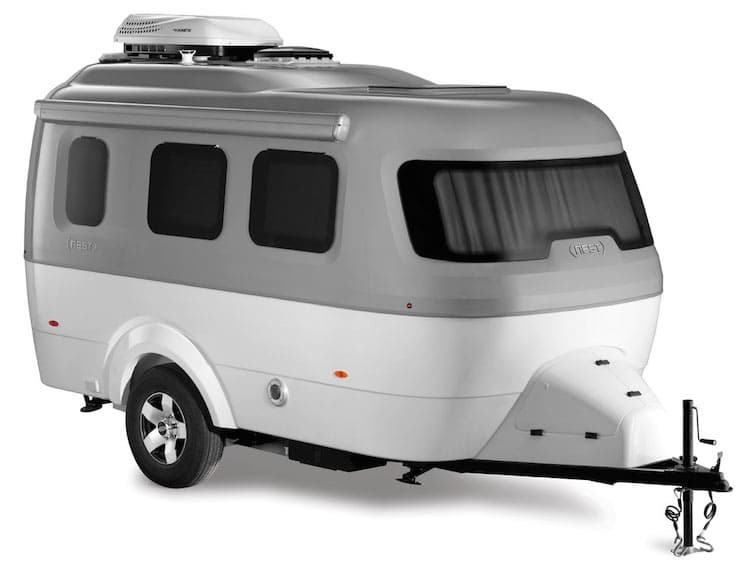 Inside, the small space packs a surprising amount of features and amenities. 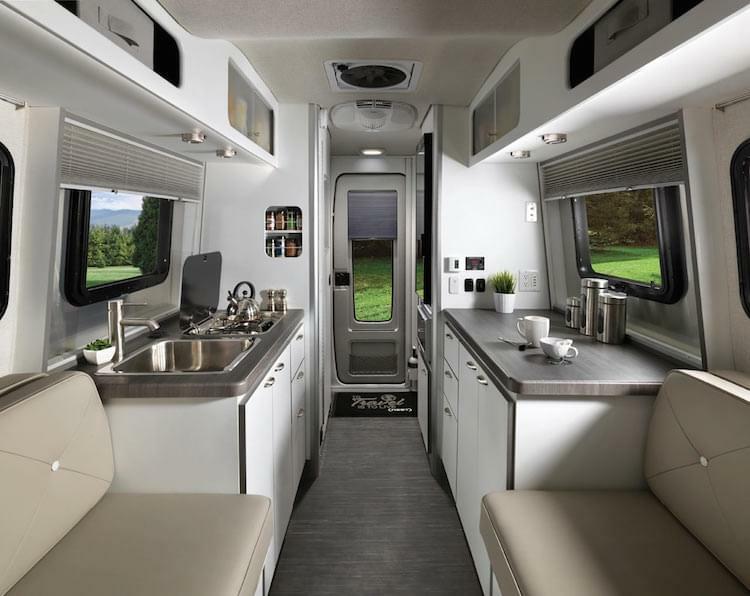 As well as a fully-functional bathroom, the kitchenette comprises plenty of storage, a two-burner cooktop with a cover that creates extra counter space when it’s not in use. 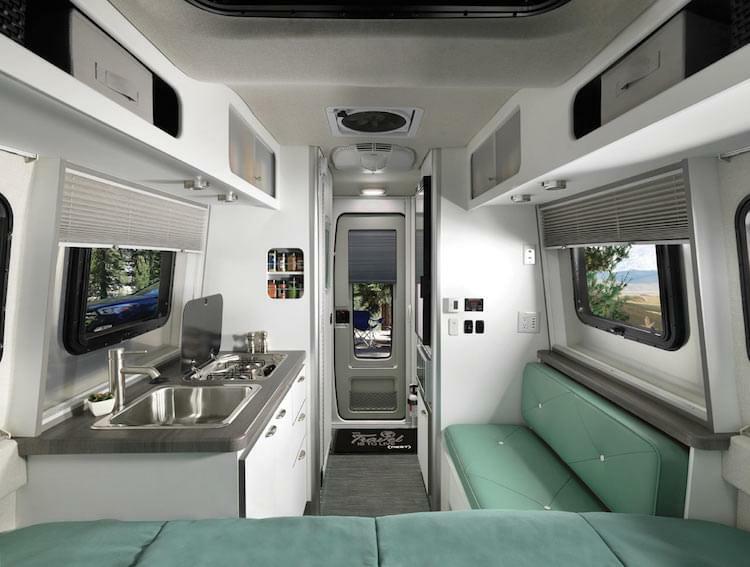 Plus, there’s a microwave, a refrigerator with an icebox, and a generously-sized stainless steel sink. 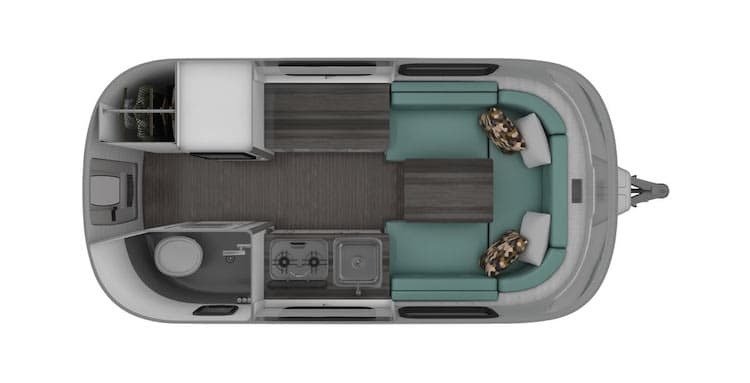 The living space includes a U-shaped dining area that can convert into a comfy bed when you’re ready for that post-lunch nap. 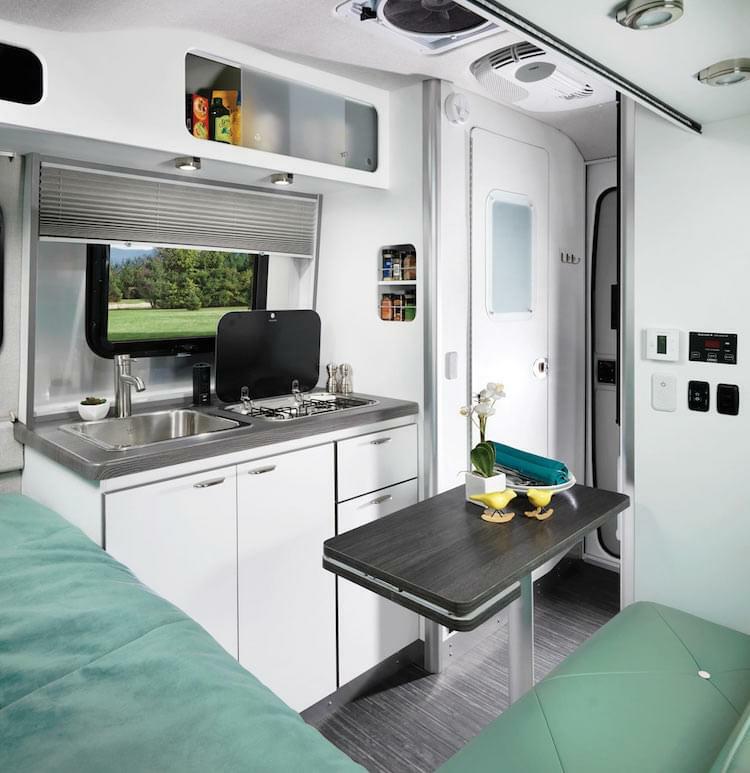 There are also thoughtful little touches such as bluetooth-controlled LED lights, blackout curtains, and a custom entry mat. 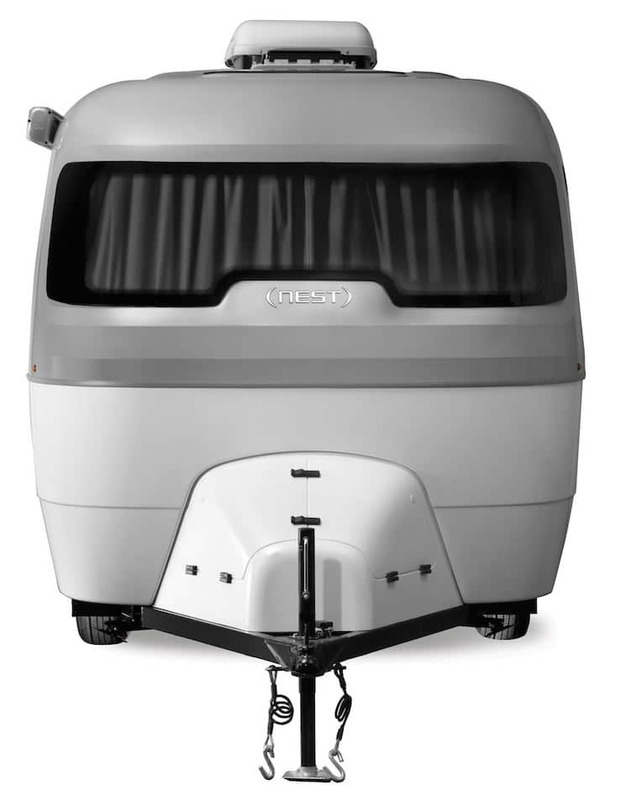 Ready to hit the road? 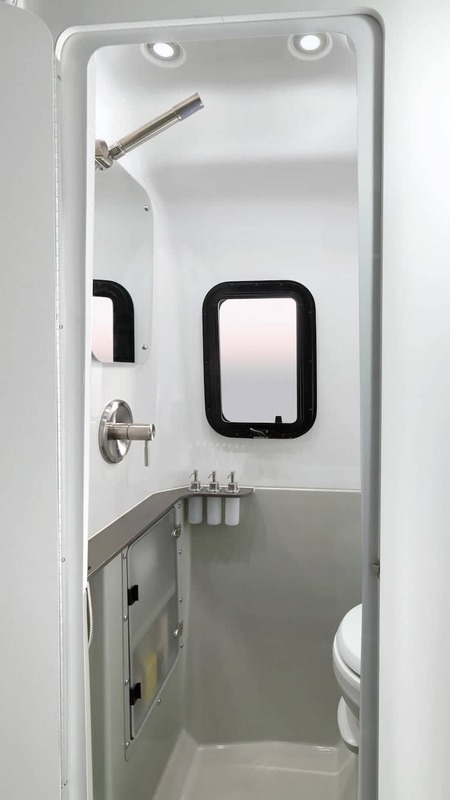 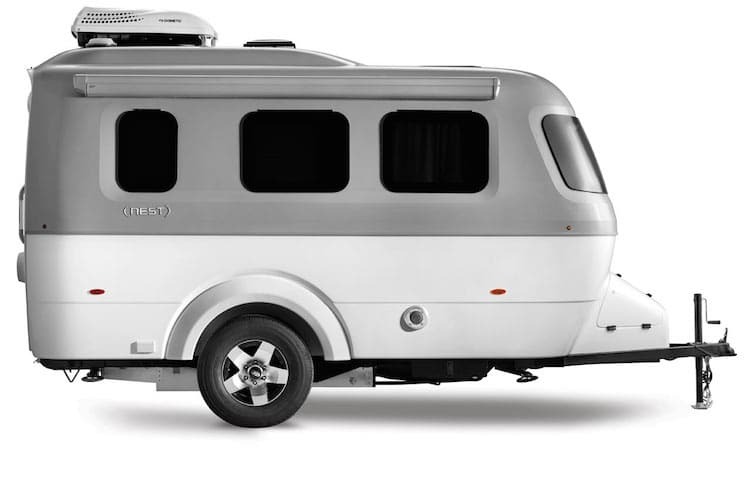 Find out more about the Nest travel trailer via the Airstream website.